Though the last federal election showed an increased percentage of voter turnout across the country, Ontario still lags behind other provinces when it comes to voting among young people. 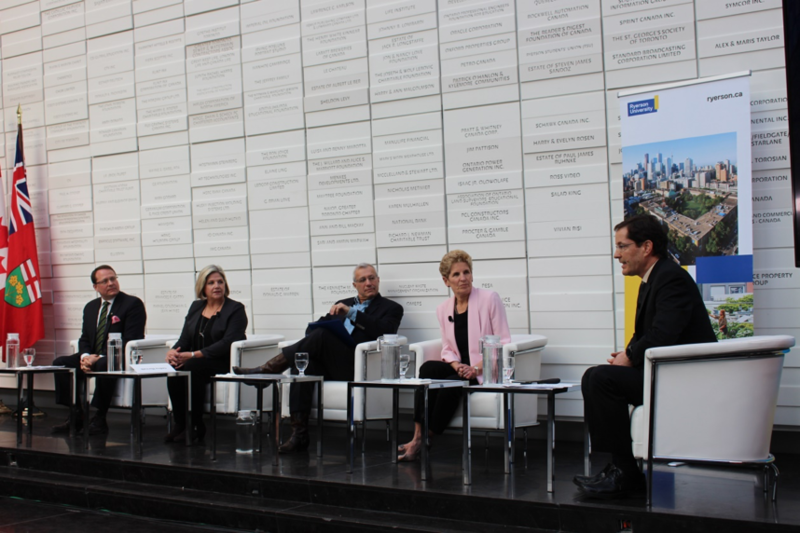 In a talk held Wednesday at Ryerson, the four candidates for this year’s provincial election discussed the current state of democracy and voter apathy in Ontario. 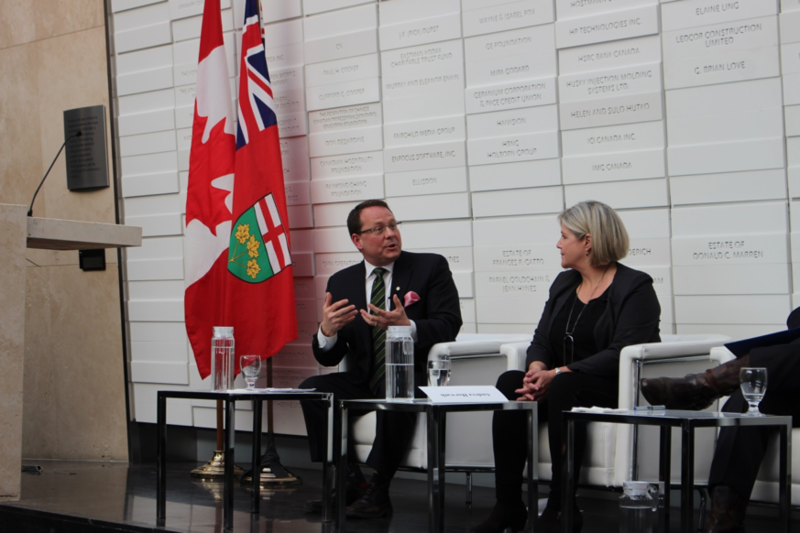 Premier Kathleen Wynne (Liberal), Vic Fedeli (PC), Andrea Horwath (NDP), and Mike Schreiner (Green) brainstormed ideas on how to boost voter turnout for the upcoming election this June. According to Martin Regg Cohn, the talk’s moderator and a distinguished visiting professor at Ryerson, the turnout in the last provincial election in 2014 was at 51 per cent, while in 2011 it was a troubling 48 per cent. 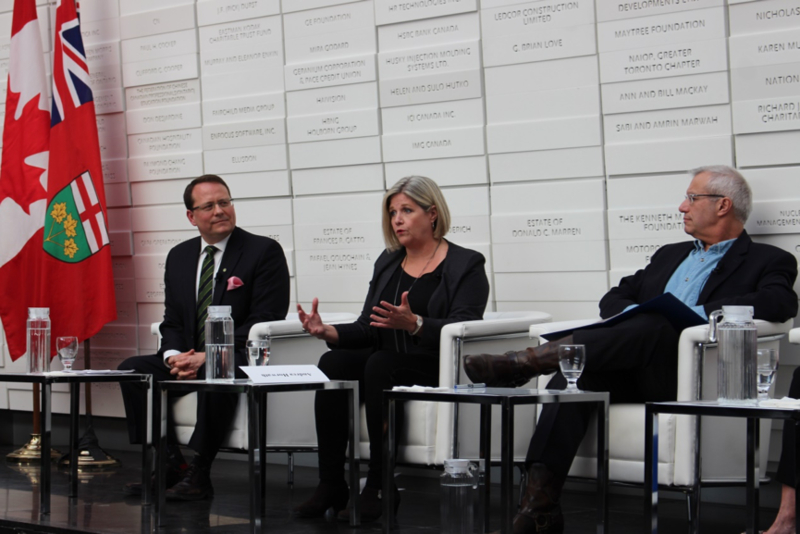 “I get the sense that people don’t feel like making a difference anymore, that every time they vote they get the same old results and they don’t really see an opportunity for change to occur,” Horwath said. The NDP leader suggested one reason why young people are less engaged is because their concerns are not being heard by those in power. In retrospect, the Liberals’ campaign promise to legalize cannabis contributed to the increase in youth votes in the last federal election because the issue appealed greatly to that specific voter base. 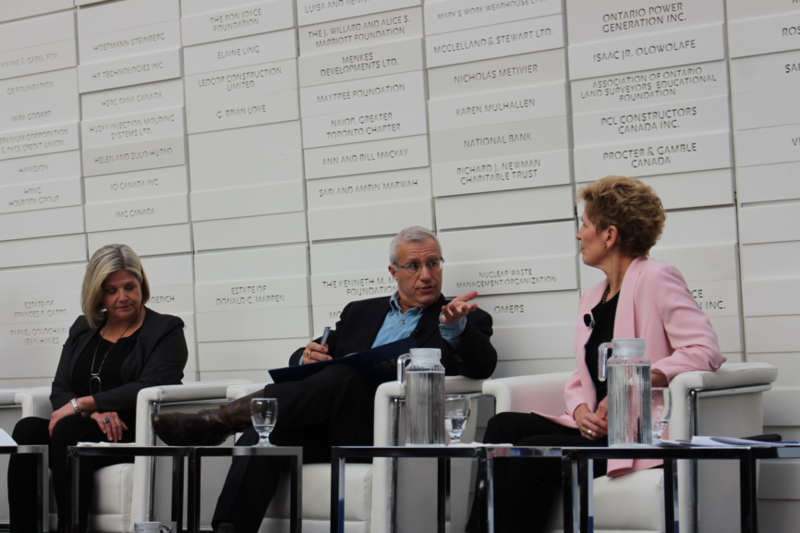 Fedeli shared that he thinks online voting could help boost engagement, noting the complicated procedures and long wait times in the voting process do not resonate well with young voters. “How is that inviting to you to be able to come in to our place with your ideas … and we give you this old technology? In one word, modernize,” Fedeli said. However, Fedeli seemed to be in the minority in the case of online voting, as the three other leaders were against it when asked by Cohn. “It’s too vulnerable,” Schreiner said. Schreiner said the province should consider lowering the voting age to 16 to encourage young people to vote, as civics classes are already integrated in Ontario high schools’ curricula. He also called for extending voting rights for permanent residents since they also pay property taxes. 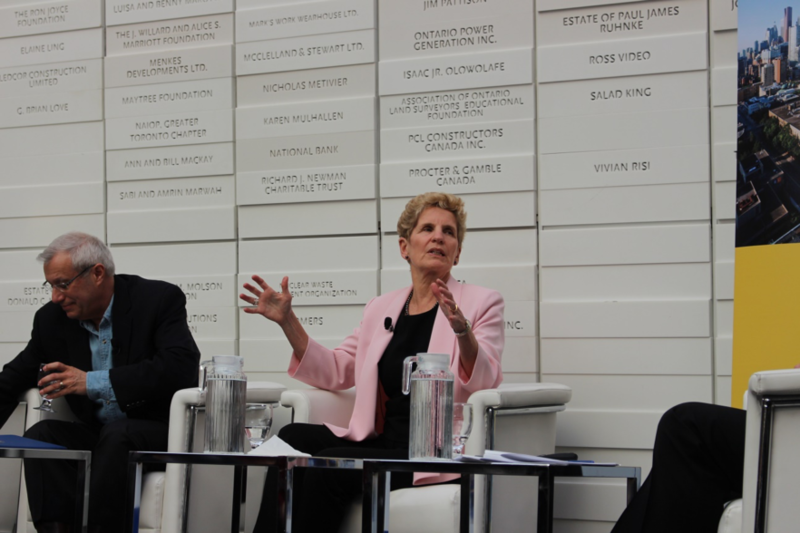 Wynne took a more traditional stance as she talked about the importance of personal outreach and interaction despite the increasing role of social media in public discourse. “It’s a double edged sword (social media). I do not have the solution to engaging young people on social media, but there’s nothing that’ll take the place of personal interaction,” Wynne said.